…when you lose the argument! 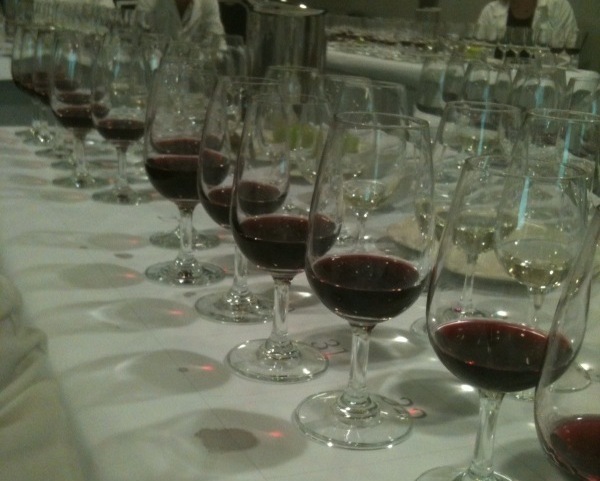 I was lucky enough to enjoy a fascinating Royal Sydney Wine Show behind-the-scenes judging experience earlier this week, thanks to McWilliam’s and the WCA. First of all it was extremely good fun, though the genteel, academic way we examined 30 wines in two hours is far different to the real coalface where judges go hard from dawn til dusk, with only the odd egg sandwich to keep them upright. I have to admit I was quite daunted before I arrived as I hadn’t done much scientific tasting in this style since those heady Adelaide uni days. You have to leave your prejudices at the door and break the wine down in quite a methodical way, at least until you get a real feel for it. After squeezing into the tighest labcoat ever we were faced with fifteen 2010 Sauvignon Blancs. We whipped through these in 30 minutes of silence, tasting each in turn, scoring and then returning to any high scoring or contentious ones at the end. 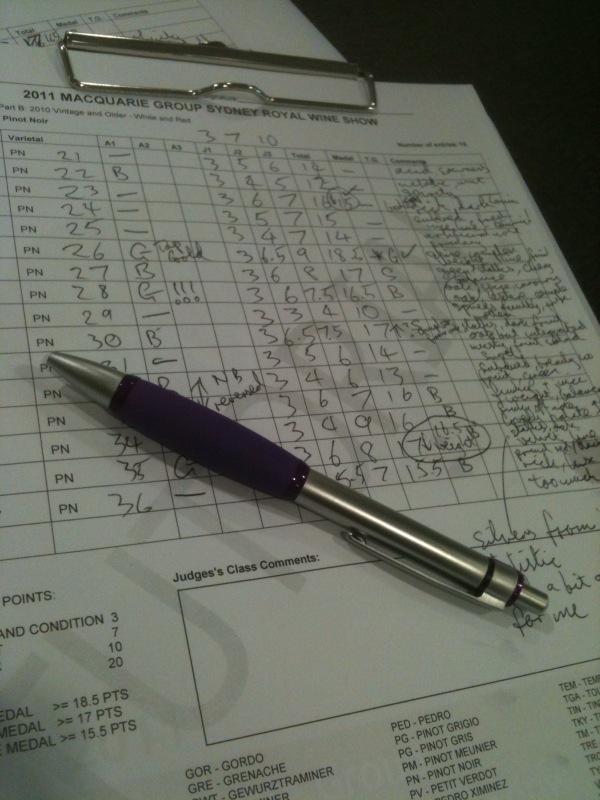 We then discussed some of the wines and the stylistic questions and decisions that come into play when the judges get together at the end of a bracket to retaste and assign golds. Nick Bulleid MW, who was leading our session (above), was also able to discuss with us the views of the real judges and what medals were awarded where. In this class of 15 I gave 1 Gold, 3 Silver and 4 Bronze, compared to the judges tally of 2 Silver, 7 Bronze. So I was slightly more generous overall, but pleased to find out that my selections roughly corresponded with the judges’ and that my top wine, was also considered the best by the judges, if not quite gold medal standard. You could spot the Marlborough wines in there quite easily and their intensity, acid and drive stood out quite clearly (hasty postscript – I thought NZ wines were allowed in show when in fact they aren’t. Oops! Only in Perth and Hobart of the capital city shows). At the start we had been told that, flavour-wise, we were really looking for a balance of green fruit/herbaceous and tropical fruit, so high marks were on offer for wines that showed true varietal definition and really fit the judging panel’s view of where Sauvignon Blanc should be heading. 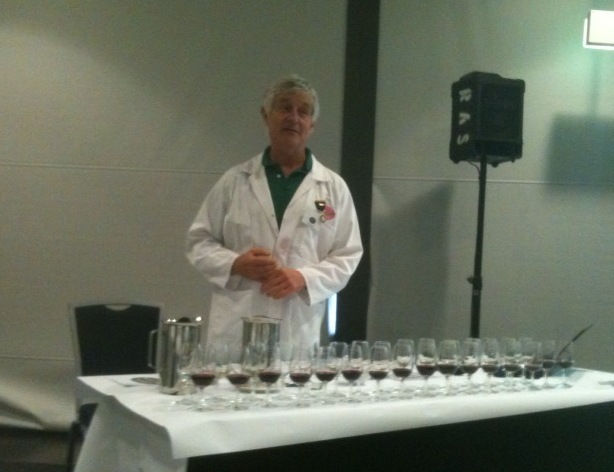 This is a very important point to bear in mind, as the Wine Show system in Australia sees the improvement of wine overall one of its primary goals; hence judges have to take a position on what characters point towards a Gold medal. With the threat of humiliation now out of the way I was able to relax a little in the second flight of fifteen Pinot Noirs. This was interesting again as I wasn’t sure whether the really dark, rich, almost Shiraz-like Pinot you find sometimes these days would fit the constraints of what the judging panel was looking for. Once again I was in agreeance with the judges on the top wine of the bracket (actually the Top Gold of the whole class), but I disagreed with them over another Gold that they awarded, which only merited a bronze for me. Many in the room agreed with this view, as did Nick, who had scored it Bronze but lost out in the debate. The main bone of contention on this wine was the use of oak, which was very apparent on both the palate and the nose. Too much for me, but not apparently for the final judging decision. It’s fascinating (but dangerous!) to think that as a judge your debating skills come into play as well, as the Gold contenders are retasted, discussed and ultimately decided upon. Have your arguments ready and make your voice heard! This is where subjectivity and taste really threatens to play a part, but also where decisions about the stylistic directions for grapes / regions etc. are formulated. I would say as a general rule that some of the weightier Pinots scored slightly better with the judges than they did with me. Oak will always be contentious with Pinot and where I thought a couple were overdone, the judges thought they still retained elegance. I gave 1 Gold, 2 Silver and 4 Bronze. The judges went for 3 Gold and 4 Bronze.